I have a permanent challenge…to make alive, enjoyable music. We can have a strong tendency to fit too well in the separate boxes people are divided in…I think that our lives are more vast and beautiful than those boxes. Though there are many features in the dusty world, you see and understand only what your eye of practice can reach. In order to learn the nature of the myriad things, you must know that although they may look round or square, whole worlds are there. It is so not only around you but also directly beneath your feet, or in a drop of water. In December of 2010, I wrote about three duo projects Lucio Capece released in the prior two years with playing partners as varied as Lee Patterson, Radu Malfatti and Sergio Merce. The unitive principle in Capece’s approach, as I heard it then, was his measuring out his sound, whatever the instrumentation, by breath-lengths. Capece’s work on the bass clarinet, soprano saxophone, and the shruti box limned, laced and buoyed each duo, often serving as the meridian to which the music returned and settled. Whether sounding out the origin-point for his collaborators, or, as he does so brilliantly with Malfatti, disappearing into the whole, Capece has snuck onto my short list of current musicians (and high atop those who are principally reed players) who I want to hear, whatever the outing. Earlier this year, Capece released Zero Plus Zero, going solo this time, as he has done increasingly the past couple of years in concert settings. Capece still metes out gorgeous drones with measured breaths, but Zero Plus Zero includes works concerned with spatiality and resonances of a different sort. 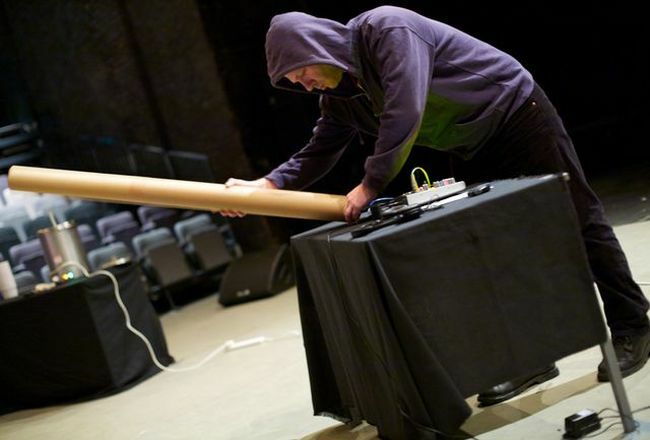 While his instrumentation remains rigorously simple (a quality he says he admires in the work of Alvin Lucier), several pieces here use multi-tracked reeds, electronics and Capece’s ongoing experiments with cardboard tubing as a filter and resonator, producing variegated tones and timbres that wobble and warp. Capece affects a lovely, oxymoronic unstable droneage, revealing a further development in his exploration of the effects of space, and our ears, on what we hear. His sound placement is impeccable, whether setting dual sine waves into woozy counterpoint, or thickening the rue of his low-fi electronics and shruti. Referring to collaborating with others, Capece has said he considers whether to oppose, to disappear, to ignore, or to cover the other. 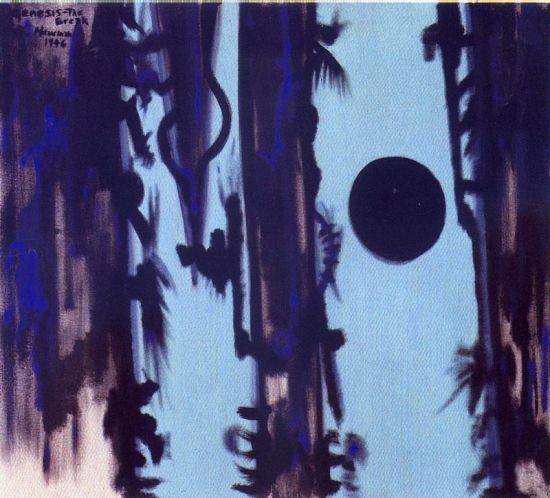 These same choices obtain here, as Capece, an admirer of Barnett Newman, weaves his vibrant, vital lines in primary colors, drawing multiplicity from the simplest starting points, sometimes disappearing, sometimes opposing his own point of origin (check Inside the Outside I, in which a ring modulator, bass clarinet, and sundry other rising and falling pitches of alien origination circle each other in a continuous state of near-collision). Capece is always about revealing the whole worlds that are there. Simplifying his materials, approaching music with an impressive acuity of listening, patience and openness, Capece makes alive music – it’s in the room when the record ends, it’s beneath your feet, and in a drop of water – it is like a hammer striking emptiness, before and after its exquisite peal permeates everywhere. This entry was posted in music writing on November 26, 2012 by jessewgoin.